A big crowd expected, as always, at this fun hotel! 10am-4:30pm. First a great hiking adventure, then wine tasting at a winery and art gallery! Can’t think of a better way to enjoy a Sunday afternoon! 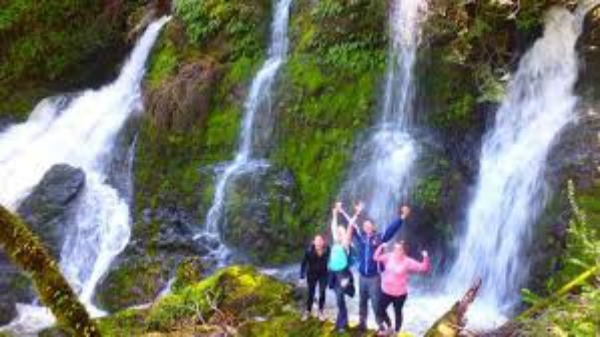 Eco Waterfall Hike and Winery Tour &amp; Tasting,10am-5pm. Meet at Wildflour Bread, 140 Bohemian Hwy, Freestone CA. Escape to the Wine Country at this fun party at a winery in the Livermore Valley! A spectacular mansion overlooking the Bay is the perfect venue for meeting new friends and celebrating Easter! Explore downtown San Rafael at this fun party! Our annual Lady in Red Dance always draws a big crowd! More details soon about this fun party in Burlingame.